Tough and practical, the Gratnells Rover has been designed to carry trays over any terrain and help you move heavy loads around with ease. 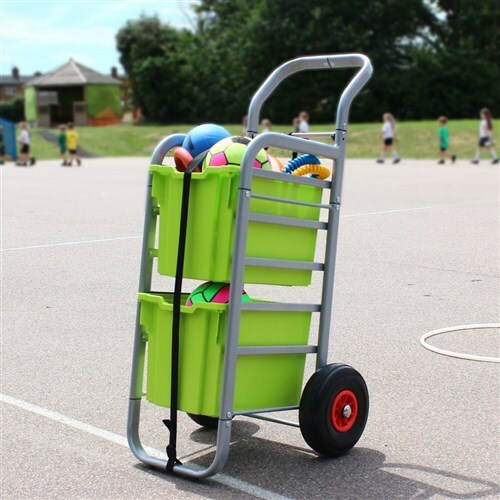 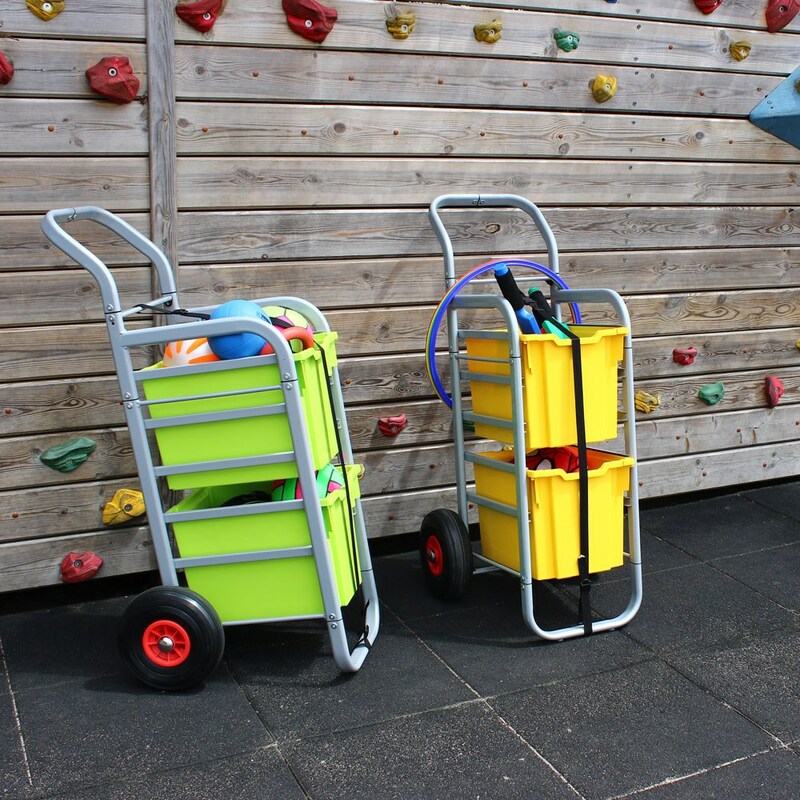 Whether you need to take beanbags and bottled water to the field on sports day or STEM kits to an after-school club, the Rover is ideal for transporting anything you need, even up and down stairs. 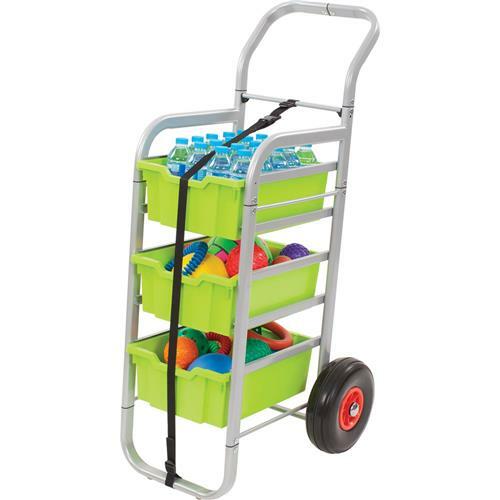 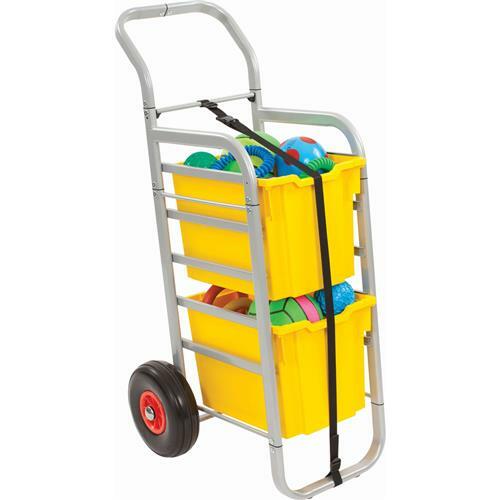 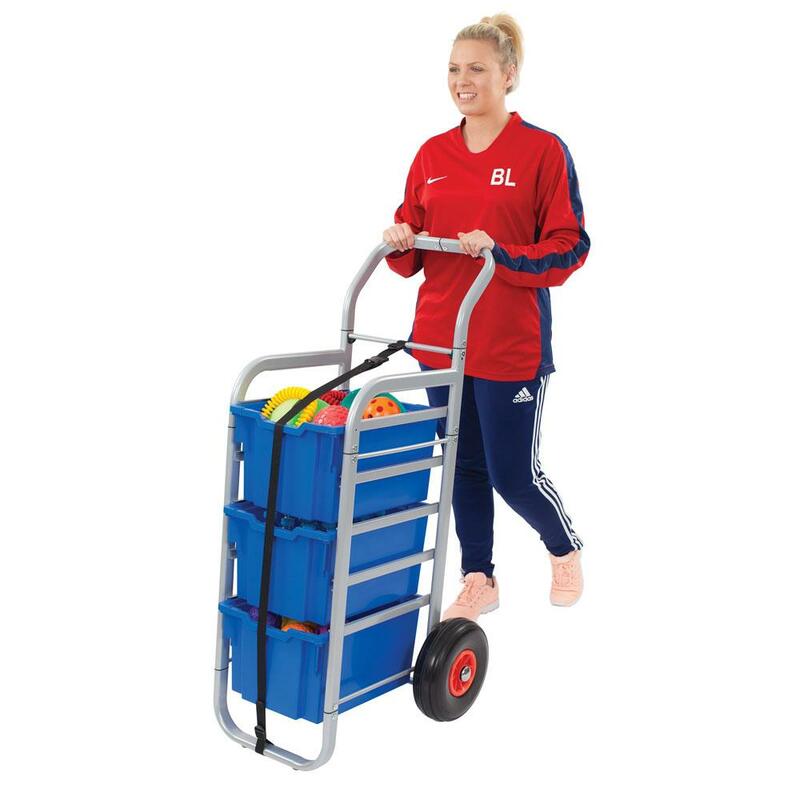 The Gratnells Rover is a heavy duty metal trolley with pneumatic tyres, runners to hold Gratnells trays*, and a strap to secure your trays for transportation. 260mm pneumatic tyres for all terrains. Five sets of runners allow a variety of possible tray combinations. Strap to secure the trays and contents. Maximum load per tray - 10kg. 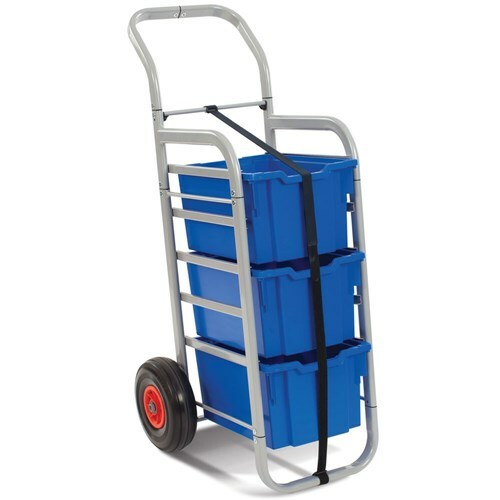 Total maximum load - 25kg (heaviest trays at the bottom). 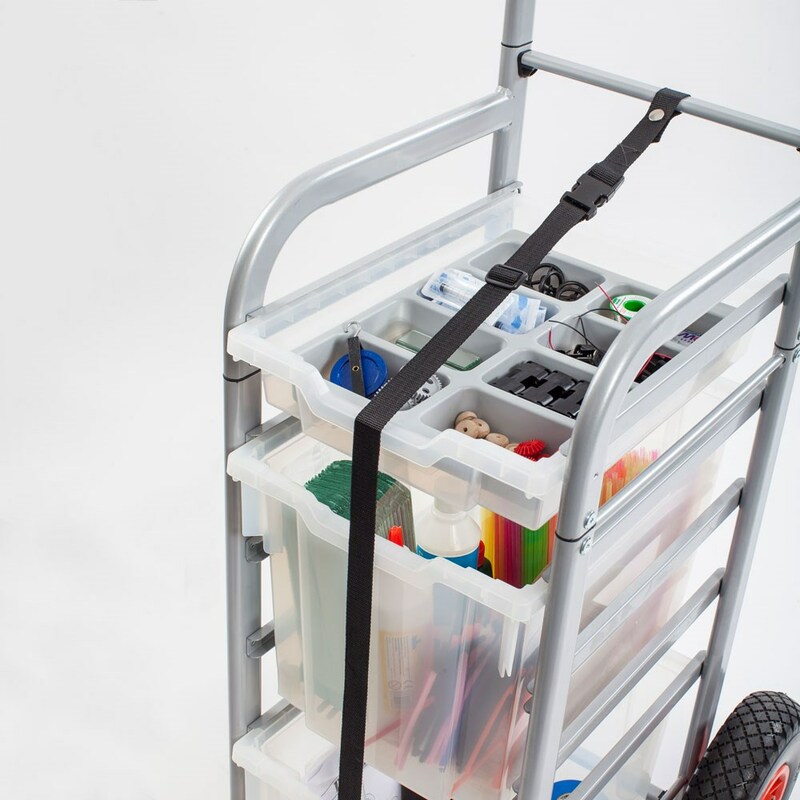 Supplied part assembled, some assembly required. 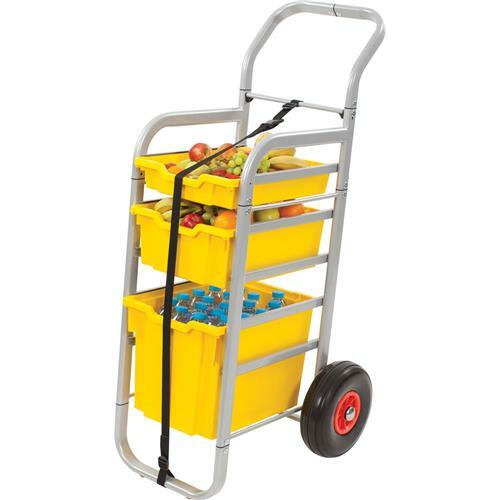 Height 1170mm x Width 560mm x Depth 760mm. *Trays not included. 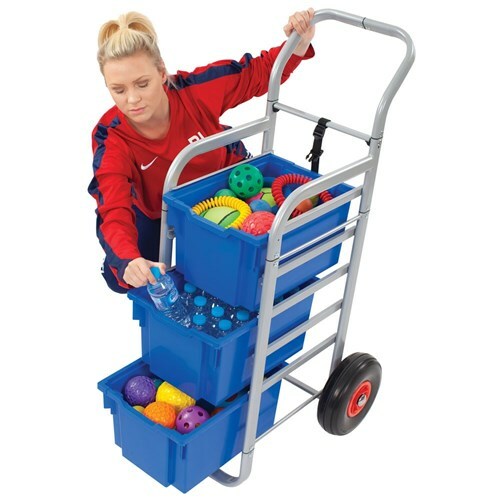 Please order trays separately.